Made changes to the GLSL shaders for the planet surface in my game. It now reflective oceans on the day side and a glowing city light effect on the darkside. Still not happy with this as it doesn't look as sharp as i would like it to, and the only way i can think of improving this is at the moment by increasing texture resolutions, which seems far too much like a brute force solution. This video also demos the signed distance field buttons i intend to use instead of the Android UI buttons. They currently all require a double tap, i may change this to a single as it get's tedious. 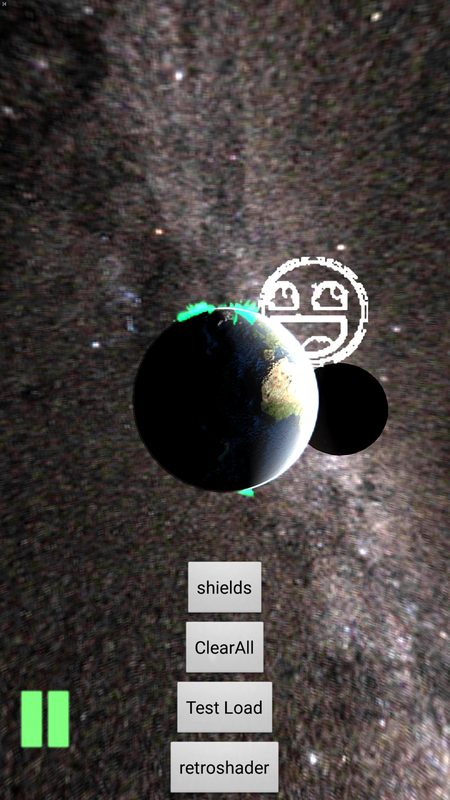 Fragment Shader for the planet. Is based on this specular example for OpenGL at this link but modified to suite my needs and to work with JPCT. This shader isn't final. uniform sampler2D textureUnit0;//main textureuniform sampler2D textureUnit1;//specular map?uniform sampler2D textureUnit2;//night/glowing texture. 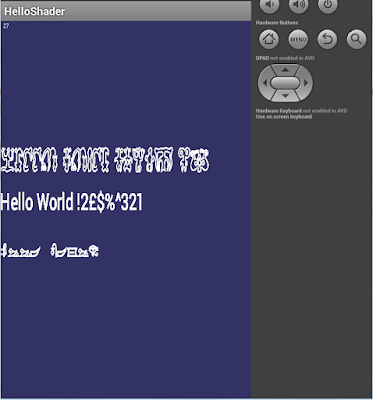 I'm currently working on a hobby game project for Android using the JPCT opengl library . While doing this i noticed that i would have to either use androids standard UI widgets or "BLIT" ui objects using JPCT's blitter. I found a potentially good way to do this reading about "Signed Distance Fields". This method also interested me as it was an excuse to work with graphics shaders. Not wanting to reinvent the wheel i first learn how this version for the Cinder library worked https://forum.libcinder.org/topic/signed-distance-field-font-rendering . 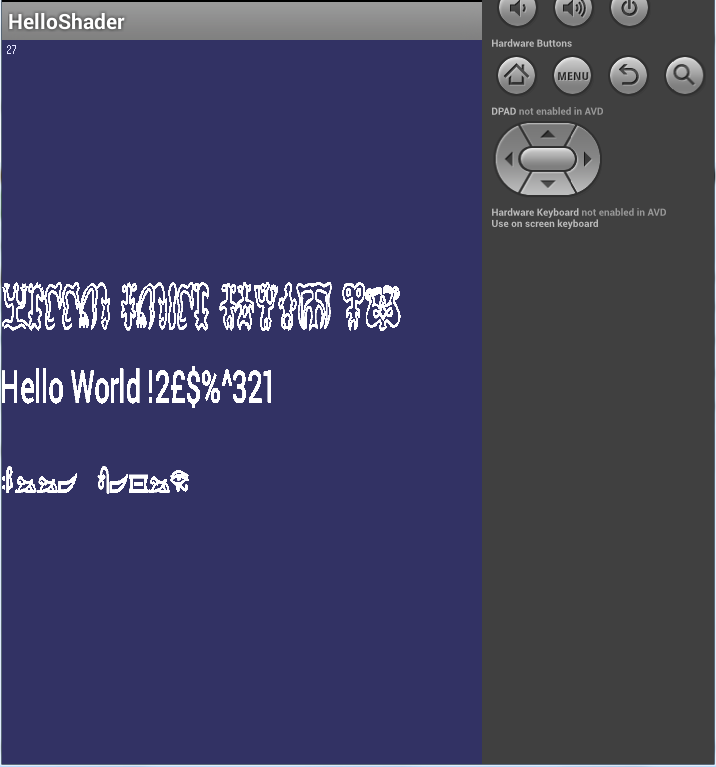 Then translated it into something that would work as a GLSL ES shader for the JPCT Library. 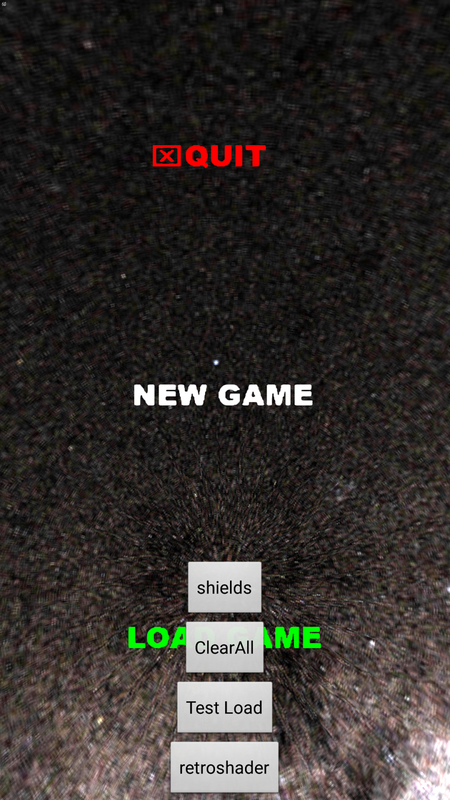 Below are some screen shots of a later version of my signed distance fields being used my game , running on an Android device . 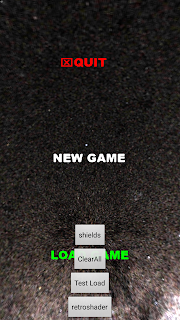 The main menu buttons. 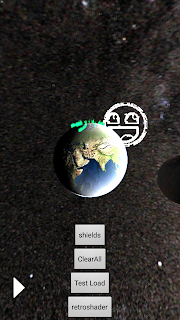 The play/pause toggle button and the "awesome face" button attached the planet are all done using signed distance fields. The other four buttons that are in ever screen shot are standard android UI buttons i'm using to test some features. Publishing this post so it's recorded somewhere a little less ephemeral than Twitter just some of what "theLiberal.ie" is upto. TheLiberal.ie is am Irish "newsite" renowned for lifting stories from elsewhere and running questionable competitions to increase it's popularity on social media. But it's also used to push the far right wing views of its founder Leo Sherlock and his Sister Cora Sherlock who runs the Irish anti-choice group "Pro Life Campaign Ireland". 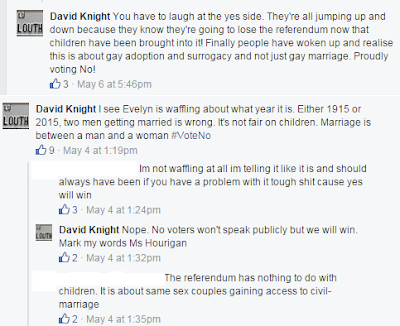 The following will just be demonstrating Cora's link to the site and some interesting posts from one of their admins in the run up to the marriage referendum. Facebook Insights is a tool used for analyzing traffic coming from Facebook to a website. Domain Insights shows all referral traffic to your domain from Facebook, including when people link to your site in their Facebook status messages, clicks on social plugins such as the Like or Share button, and more. Domain Insights also provides sharing metrics and demographic information per domain and per URL so you can optimize your content for sharing and better tailor your content to your audience. Site owners add tags containing their admins Facebook ID to the headers on the page. TheLiberal.ie has two of these tags. One corresponds to the Facebook account of Cora Sherlock herself suggesting she has strong role in the running of the site the other ID included belongs to a "David Knight". This is in the source of every page served by TheLiberal and anyone can view by simply right clicking and selecting "View Source" on any of their websites pages. The numbers can be added to the facebook url by anyone leading them back to those profiles. But as promoters of the far right they're not focused on just single issues. As the other tagged admin "David Knight" demonstrated on TheLiberals Facebook page in the days before the marriage referendum trying to confuse voters. Shouldn't need more to conclude that Cora Sherlock , "David Knight" and their site TheLiberal probably aren't the most trustworthy sources for news, even now when the independence of a lot of other Irish media is questionable. The tags referencing Coras account appear to have been removed now.